Grrrrr so hard to resist. You know I won't be resisting for too long anyways so who am I kidding. I love how it glows on your nails and it even complements your ring. Thanks girl. I'm just here to tempt you with pretty polishes. So beautiful! Love the finish! Yep, I must own this polish! So pretty! I'm jealous of all your Cirques. I have a huge supply, working there spoiled me. This is a lovely one ! 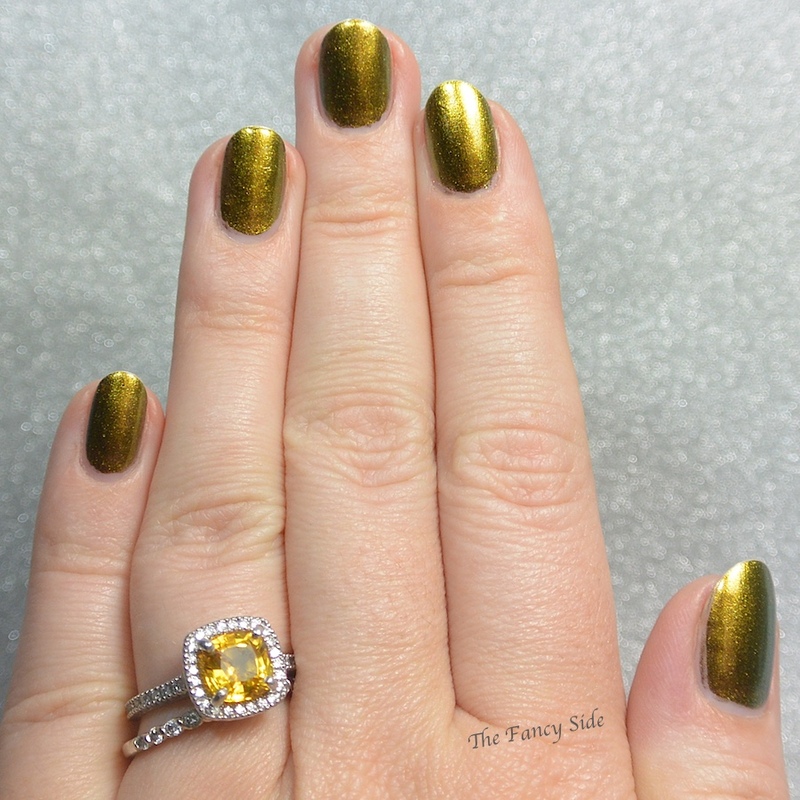 Wow, I'm loving how deep green-gold this gold is. Awesome! It's so beautiful and a total shade shifter. I really want some Cirques! Freaking gorgeous! I still need to try this brand. This is by far and away my favorite indie brand. This is so pretty - I love Cirque a ton! Wow, this is sooo stunning! I don't have any Cirque polish yet but every time I see a new one I feel like it is a must have. 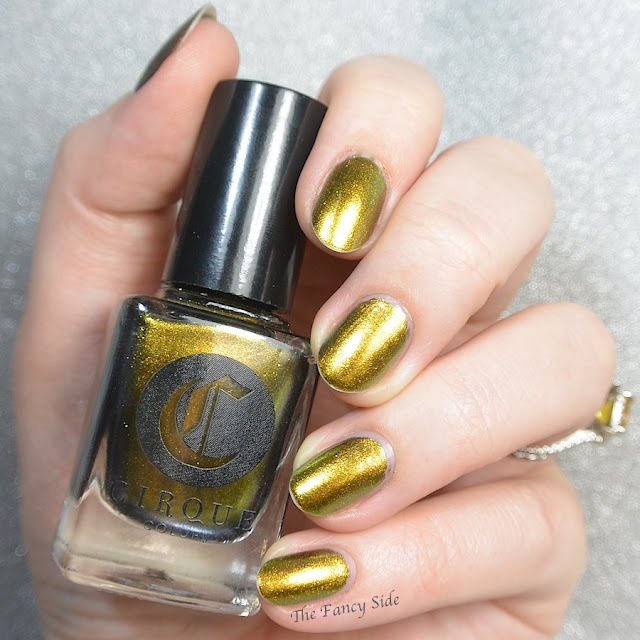 Cirque is a brand I haven't tried and I neeeed to!